Sean Williams is a geeky South Australian with big ideas. He’s been around the science-fiction scene (both local and international) for a while now, and he’s never been shy of putting some big ideas forward. In the Astropolis series he lets it all hang out. 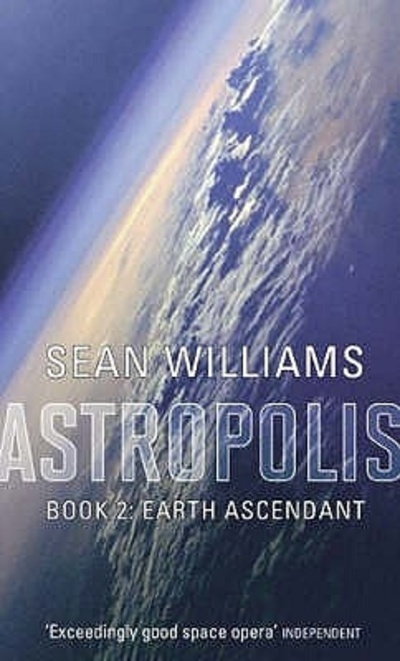 While some of the features of the Astropolis universe are themes to which he has returned again and again over the course of his career (such different experiences of time – characters speed themselves up or slow themselves down as needed), others are new to his oeuvre. Many characters are singletons, people living different lives in distinct bodies, but who periodically merge their memories and regard every example of a person as equivalent to the whole person. Another caste of Forts - super-intellects on a vast scale - used to exist, before an equally vast catastrophe destroyed them, along with the galactic civilisation they supported. 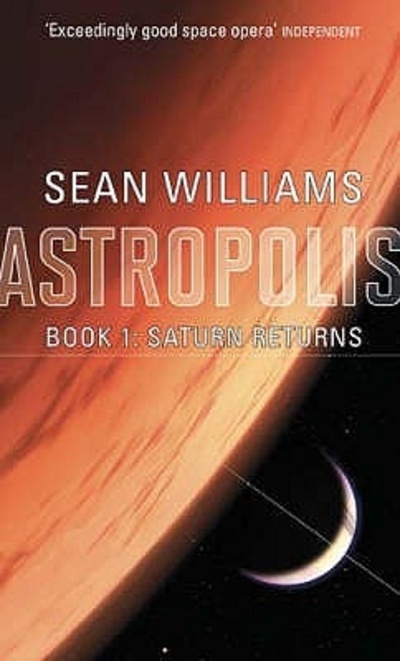 The first book, Saturn Returns, opens with the imperfect resurrection of Imre Bergamasc, a singleton mercenary and one-time rebel against the Forts, his reunion with his former comrades-in-arms the Corps (one of whom is the object of his millennia-old sexual obsession, another is 800,000 years old and speaks exclusively in Gary Numan lyrics) and his growing realisation that threats from his past – an organisation called the Barons, and something going by the name ‘Luminous’ - still mean him harm. Cenotaxis takes a novella-length side trip to focus in on conversations between Imre and a posthuman who may or may not be able to see parallel timelines. As the Corps works to conquer Earth, Imre’s moral ambiguity is explored through outside eyes. 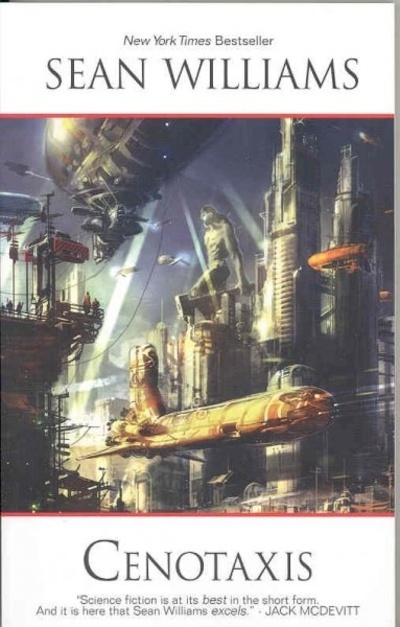 The main story continues in Earth Ascendant, where the Corps find themselves immersed in the politics of a rising empire as they work to return order to the galaxy and reconstruct the former civilisation, this time without the help of the Forts. Along the way, Imre is forced to deal with his untrustworthy regent, an alien parasite that allows sharing of memories among the ‘infected’ and a son he never knew existed. As the title promises, The Grand Conjunction brings all manner of threads– Imre’s past, the nature of the Barons and Luminous, the death of the Forts - together. Once again, the scale of events starts small, but rapidly balloons out into something almost incomprehensibly vast. 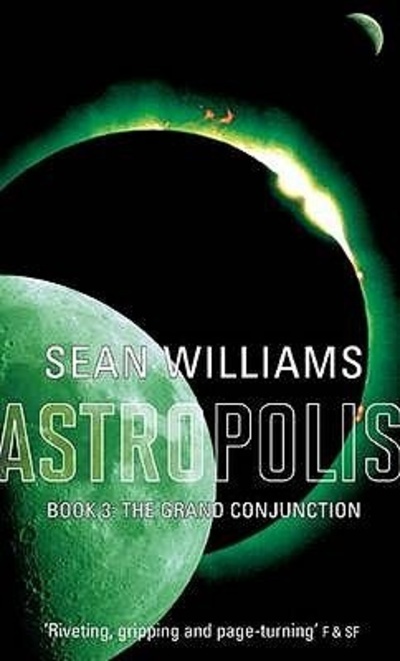 The series contains all the hallmarks of good space opera – memorable characters, a sense of grand events, vistas so epic as to make hardened SF fans say ‘whoa’ like Keanu Reeves – and Williams continues his tradition of having plenty of things go ‘boom’. The truly noteworthy feature of the series, though, is the maturity of its themes. You can certainly read the series for the millennia-long interstellar voyages and colossal destruction, and have a great time doing so. But alongside it is a complex story about re-evaluating unhealthy relationships, building trust between estranged family and friends and the need to balance the necessity of change with the desire to hold on to our sense of identity. Imre and the Corps have more than the usual number of both pictures on the walls and skeletons in the cupboards. Their struggle to make sense of how the world around them has changed since the days of their ‘youth’, to confront their regrets and to create something lasting out of what has been left to them will resonate with anyone above a certain age. For everyone else, there’s a really big bang at the end.